I am a qualified Chartered Accountant and a member of Chartered Accountants Ireland. I also have an honours degree from UCD in Commerce and Spanish, as well as an honours Masters from Smurfit School of Business in Management Consultancy. I have previously offered grinds to multiple students doing both their junior cert/leaving cert exams as well as college/university, ACA and ACCA exams with a very high success rate. I offer a friendly and questions based approach to teaching as I believe the best way to learn accountancy is to do as many questions as possible. Practice, practice, practice! I also find this keeps the student more engaged and is most interesting for all involved. BarbaraFrom Saoirse (5/5): (University Accounting) Barbara has really been excellent help for me as I've learnt a lot from having one to one grinds with her. I had to go right back to basic accounting principles and she has helped me prepare as best I can for upcoming exams in college. BarbaraFrom Michael (5/5): (University Accounting) Great for ensuring understanding by clearly and simply explaining what would normally be difficult concepts. Would recommend for university accounting. BarbaraFrom Wesley (5/5): (Adult / Casual Accounting) Barbara has expert knowledge in the area of accounting and has improved my accounting skills greatly since getting grinds with her. She was very easy going and helpful with any questions I had. I would recommend her to anyone seeking to advance their accounting knowledge. BarbaraFrom Eimhin (5/5): (Adult / Casual Accounting) Very good - really got me out of a tight spot after failing my CAP2 exams - still have to sit them but feel much more confident with the fundamentals thanks to Barbara. BarbaraFrom Chris (5/5): (University Accounting) Barbara was a great tutor and after only two sessions with her she was definitely the reason I passed my accounting exam. Would definitely go to Barbara again if needed and would recommend her to anyone. BarbaraFrom Kieran (5/5): (Adult / Casual Accounting) Barbra has been a fountain of auditing knowledge and experience during our one on one sessions. I highly recommend Barbara should you be looking for a P7 (AAA) tutor. I find Barbara a great help, as not being from an audit background her practical experience gives me very useful insight and perspective which text books do not supply. 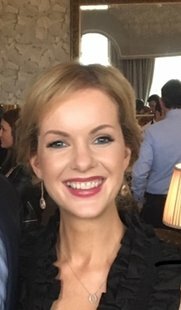 BarbaraFrom Aisling (5/5): (Senior Cycle Accounting) Barbara is a wonderful tutor. She is presently tutoring my son for honours accounting for higher level Leaving Certificate. BarbaraFrom Chris (5/5): (University Accounting) Barbara has helped me so much with revision for an accounting college repeat exam. Extremely friendly and is extremely knowledgeable. I would 100% recommend Barbara! BarbaraFrom Thiago (5/5): (University Accounting) An excellent tutor who helped me with my exam from college. She brought her own material which had loads of examples and good exercises, that helped a lot. I highly recommend Barbara to anyone struggling in accounting or someone who is looking to improve their grade. BarbaraFrom Sophie (5/5): (University Accounting) Barbara has helped me immensely with management accounting. Introducing me to new ways of thinking has allowed me to look at each question and approach it with an improved confidence. She has equipped me with guidance and practical help for my exam, as well as being kind and approachable. I highly recommend Barbara’s teaching. BarbaraFrom Matthew (5/5): (University Accounting) Excellent tutor very knowledgeable! BarbaraFrom Rachel (5/5): (Adult / Casual Accounting) Could not fault barbaras method of teaching she provides a clear and consise time plan for each topic and gives lots of everyday examples which make studying much easier. BarbaraFrom Peter (5/5): (University Accounting) I found Barbara to be an excellent tutor. I thought she was patient and very good at explaining in detail the accounting module that I had difficulty with. BarbaraFrom John (5/5): (University Accounting) Barbara is a fantastic teacher, I made a lot of progress in accounting thanks to her in a short period of time. I would recommend her 100%. BarbaraFrom Alvin (5/5): (University Accounting) She is a very knowledgeable and approachable person. Comes prepared and reviews the questions in advance.